Gender discourse is very influential everywhere, calling to attention the unwarranted discrepancy between the locations of men and women in the state and society in almost every facet of life.  It places particular emphasis on the oppression and marginalisation of women at all levels. The feminist movements have for years continued to advocate for gender balance especially through affirmative action. Yet, only marginal progress has been made. 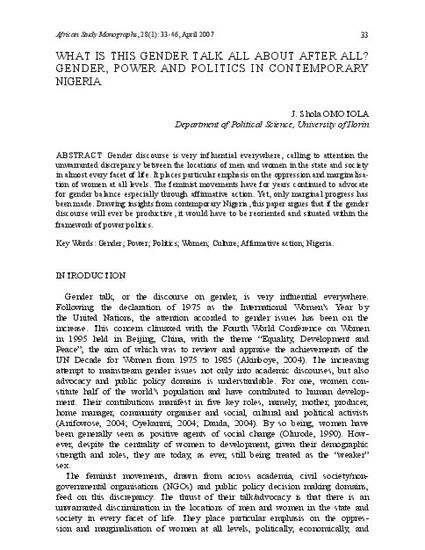 Drawing insights from contemporary Nigeria, this paper argues that if the gender discourse will ever be productive, it would have to be reoriented and situated within the framework of power politics.